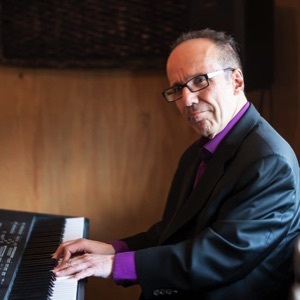 Andy Calabrese, pianist, educator and music producer, plays in the Rochester New York area with his own jazz trio as well as Prime Time Funk and Chet Catallo and the Cats. 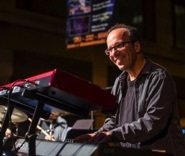 He's in demand as a sideman as well, having performed with jazz and pop artists such as Chuck Berry, Aretha Franklin, The Cowsills, Maceo Parker, Pee Wee Ellis, Fred Wesley, David Clayton Thomas, Paul Schaffer, Felix Cavaliere, Gene Cornish, Kathy Sledge, Lou Gramm, Carmine Appice, Russell Thompkins Jr., Bob McGrath, Bobby Vinton, Jerry Vale, Pete Barbutti, Connie Francis, The Shirelles, Rick Braun, Joe Locke, Bill Evans, Randy Brecker, Eric Marienthal, Chuck and Gap Mangione, Bat McGrath, Pepper Adams, Marvin Stamm, Sam Noto, Joe Romano, Sal Nistico, Pat La Barbera, Joe La Barbera, John Clayton, Allen Vizzutti, Sheila Jordan, Kenny Rankin, Steve Davis (bassist in the original John Coltrane Quartet), Ronnie Leigh, Nancy Kelly, Dave Mancini and others. Andy composes and produces jingles and film soundtracks, having recently produced tracks for The Stylistics, Danny and the Juniors, Jay and the Techniques, Ferdinand J. Smith, Brucato Productions and Forevermore Records. 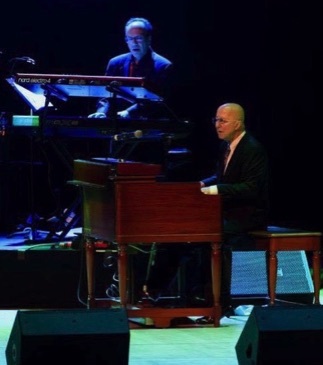 When he's not gigging, composing or producing, Andy is usually teaching jazz and classical piano lessons at his studio in Pittsford N.Y.